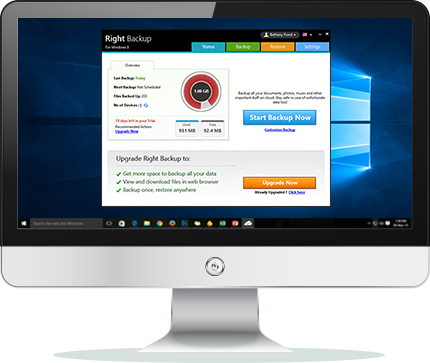 Your Right Backup download should automatically start within seconds. If it doesn't, click on "Download Now" button below. After the download is complete, navigate to the downloaded path and double-click on the rightbackupsetup.exe to launch setup wizard. 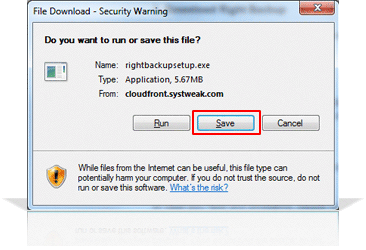 Follow the on screen instructions to complete the installation of Right Backup. In case you face any problems, please contact us at support@rightbackup.com. 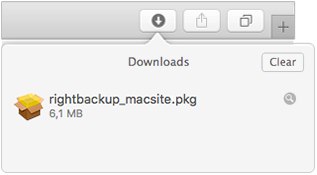 When the Right Backup home page comes up, Click the Download button. It should automatically download. After the download is completed, the Right Backup app Installer window opens up. Click the Continue button and follow the prompts within the installer. Now that you have installed Right Backup, you can launch it from the Applications folder. Alternatively, you can keep the Right Backup icon in your Dock and launch it from there. 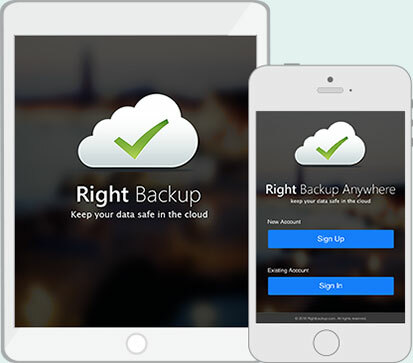 To download Right Backup on your device from the App Store, tap on the download button below. Tap the Download on the App Store button to go to the app download page in the store. Tap Free, and then tap Install. If prompted, enter your password and then tap OK.
As the installation finishes (in a moment), the Right Backup icon becomes active on your iPhone. Tap the Right Backup icon to launch the app. 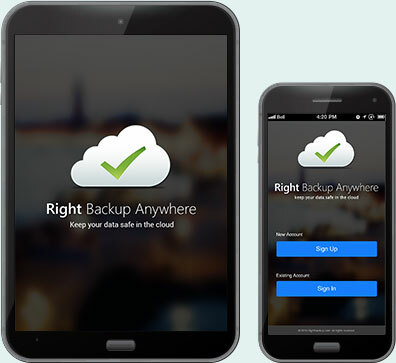 To download Right Backup on your device from the Google Play Store, tap on the download button below. Tap the Google Play Store button to go to the app download page in the store. You’ll be asked to accept permissions, look over the permissions and tap ACCEPT. As the installation finishes (in a moment), the Right Backup icon becomes active on your device. Tap the Right Backup icon to launch the app.